Cisco is a major and highly reliable solutions provider with one of the most extensive portfolio of products covering all areas of a UC implementation. Cisco UC products range from the flagship Unified Communications Manager, to a variety of user devices – including desk voice and video IP phones, analogue modules, soft phones, apps for smart phones, etc. Cisco solutions offer solutions for both large corporations and SMEs. Cisco® CallManager Express provides call processing for Cisco IP phones.Cisco Unity Express offers voice-mail and automated attendant capabilities for IP phone users connected to Cisco CallManager Express. The voice mail and automated attendant capabilities are fully integrated into the Cisco access router using a network module (NM) or advanced integration module (AIM). With this solution, the Cisco portfolio of access routers delivers features similar to those of a key system or hybrid private branch exchange (PBX) plus the rich data and routing capabilities expected on the new Cisco® integrated services routers designed specifically for voice services and the award winning Cisco Multi-service access routers which many organizations already have deployed in their networks. Customers can now deliver IP Telephony to their small sites and branch offices with a solution that is very simple to deploy, administer, and maintain. Cisco CallManager Express with Cisco Unity Express provides customers with a cost-effective, highly reliable, feature-rich solution for an office deployment of up to 240 users. This extends the benefits of IP Communications and provides “enterprise-like” capability to the small office on a Cisco router. Contact us for Cisco PBX Dubai installation.We can supply and install cisco telephone system any where in UAE . Our services area includes Abudhabi, Dubai, Umm Al Quwain, Ras Al-Kaimah, Sharjah, Umm Al Quwain, All Ain, Ajman and Khor Fakkan. Reduced total cost of ownership (TCO) by delivering voice and data on a consolidated infrastructure. Complements the end-to-end Cisco IP Communications portfolio by cost-effectively extending IP Telephony support to the small-business telephony market. Offers simple configuration and deployment for enterprise customers who are familiar with Cisco infrastructure. Takes advantage of Cisco data expertise, market leadership, and industry-standard Cisco IOS Software. Enables flexible configuration and management using familiar Cisco IOS Software command-line interface (CLI) or a Web-based graphical interface (GUI). Supports converged applications including content networking, video, quality of service (QoS), firewall, VPN, DSL, Ethernet, and Extensible Markup Language (XML) services. Provides 100 percent investment protection for customers evaluating IP Telephony if they choose to migrate to a centralized Cisco CallManager architecture. 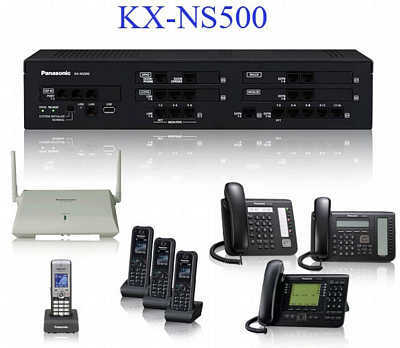 Panasonic KX-NS500, IPPBX hybrid for unified communications integration of landline phones, softphones and mobile phones (smartphones) or tablet. For any business, small or medium, oriented to take advantage of the reputation of Panasonic technologies for high quality, without investing significant budget, the new unified communications solution for KX-NS500 is the right answer. This is a smart PBX and IP communications system and legacy affordable for businesses with up to 250 employees that offers flexible configuration options and is scalable according to the specific requirements of their business.You can also use built-in applications, such as a solution for call centers, a mobile solution and a voice mail system to ensure greater operational efficiency and increased customer satisfaction. The KX-NS500 is expandable in a telephone answering system can record up to 24 channels at the same time and store up to 400 hours. Also send an email to notify you when you receive a new voice message. The messages can be received and forwarded as attachments. You can send e-mail for missed calls, in which the customer did not leave a message – so users can quickly contact the customers themselves. The voice mail system supports the automatic recording of conversations with customers. The recorded voice data can be saved automatically in the USB memory or on an external server via the Internet, to listen to them whenever you want. The data can be used to understand the problems or identify opportunities in relation to customer service. KX-NS500 is a unified communication system equipped with features such as IP mobile connection, integrated voicemail, e-mail, instant messaging and presence information to ensure a more efficient working environment. Standard feature of all terminals KX-NS500 is the ability to connect users to the section or the appropriate handler using call routing with voice guidance. The new model is also able to suggest the user to record a voice message when the user is absent. KX-NS500 can be extended with several features including voicemail system can record up to 24 channels for 400 hours, send e-mail to notify users whenever there are new voice messages or when the customer did not leave a message, enabling businesses to respond quickly. The system is flexible, starting from six analog lines and 18 internal, to get up to 288 indoor units with expansion. Panasonic NS500, is defined as a system of unified communications for its ability to integrate with a variety of fixed and mobile devices. fact, this system supports VoIP phones owners such as the NT series, UT, but also mobile software Panasonic, operator consoles, Built-in application for the management of statistical analysis of system calls, the supervisor console, and of course the ability to integrate devices such as tablet with Android or Apple iOS , laptops, smartphones and all those devices equipped with wireless technology to access the data network Internet.You can also connect standard SIP VoIP lines, phones and softphones always with standard SIP also third parties like Bria, Zoiper etc. The award-winning Yealink IP Phones range embraces entry-level non-display IP phones, business class HD colour screen models and a cutting-edge touchscreen IP media phone, each manufactured to exacting standards and featuring powerful TI chipsets and Power over Ethernet (PoE) as standard. Yealink Offering premium quality at an affordable price they are also certified compatible with many popular IP-PBX platforms, VoIP networks and leading brand communications solutions. These include those offered by Alcatel Lucent, Asterisk, Avaya, Broadsoft, Draytek Elastix, Epygi, Genband, Genesys, Inin, Interactive Intelligence, Sark and 3CX. As world’s leading manufacturers of SIP telephones, Yealink designs, develops and produces innovative, feature-rich, robust and reliable IP phones which enable organisations of all sizes to exploit the cost and efficiency benefits offered by VoIP telephony. A truly global brand Yealink products are the choice of carriers, enterprises and clients in over 80 countries. Contact us for Yealink IP Phones for your office in Dubai, UAE.We can supply and install Yealink IP Phones any where in UAE . Our services area includes Abudhabi, Dubai, Umm Al Quwain, Ras Al-Kaimah, Sharjah, Umm Al Quwain, All Ain, Ajman and Khor Fakkan. You can Build business relationships and accelerate your productivity with Avaya Scopia® video collaboration.With Avaya meet with your customers, colleagues, business partners and even your family no matter where you are. We all know the feeling of being away and traveling to meetings so why not save time and money by having a video conference without leaving the office. Using Video Conferencing you will have instant face to face connections sharing knowledge, documentation and content without the stress of travel and cost.You know video conferencing lets you meet with colleagues, partners, and customers, regardless of locations. But now you can join any meeting easily from your desktop or mobile device. Now there’s always the option of having a face-to-face meeting. Experience exceptional video conferencing in any environment with a complete range of dedicated video conferencing endpoints. Leverage leading, powerful video communications technology to deliver an unparalleled video collaboration experience, from immersive telepresence, to conference room systems, to desktop applications. Experience a lifelike, immersive video meeting with Avaya Scopia® XT Telepresence, which brings you with the feeling of an in-person meeting. Customize the XT Telepresence Platform to your unique requirements for each room. Install and configure the XT Telepresence Platform working with a worldwide network of our channel partners—meet the unique needs of each of your deployments with this cost-effective, highly flexible approach. Planning to buy a video conferencing system in Dubai.Go ahead and contact us for expert advice , professional service support and market leading video conferencing products.We are one of the leading Video conferencing system Dubai Company in UAE. We deal with Polycom Video Conferencing System , Grandstream Video Conferencing System, Avaya Video Conferencing System and Huawei Video Conferencing System. Not sure what you need ? .We can recommend the best Conferencing Solution in UAE. we are an independent provider of video conferencing services, video conferencing setup and office telephone systems . 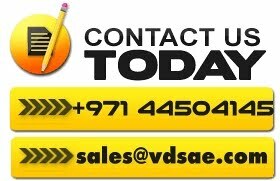 [vc_column_text]VDS offers technical services which include phone system installation of all major brands like NEC,Panasonic, Avaya, Dlink, Yeastar, Grandstream, Samsung, LG and Digium. PBX or Private Branch Exchange, is is the most common type of phone system in today’s buiness. The switching equipment is onsite and routes calls to outside lines and between employees. A major advantage of a PBX is control over the numbers that can and cannot be dialed from within the system. A properly configured PBX can restrict access to certain costly numbers. Major savings also results from the ability of the PBX to share a group of lines among many extensions. For example, an office with 100 extensions can often be served by 10 to 15 lines. This results in huge savings from having to provide a line to every phone in the company. Being the authorized dealer of leading brands dealing in PABX systems, we serve our customers with the leading edge technology along with unmatched reliability. As one of the top telephone companies in Dubai We understand your needs and helps to increase the productivity of your business. Despite what you are looking for, we assure you provide you with the best systems that prove to be the ideal fit for your company infrastructure. Our team consist of capable experts who have years of experience in this industry and can solve every telecommunicate problem of your business in just a blink of the eye. Now you can get an affordable PBX system from the extensive portfolio of our product range. While you do this, you will decrease the operational costs with the passage of time. The PBX used analog technology previously. Thanks to the advancement in technology now, the PBX went on to become the most significant tendencies in business communication. The IP PBX System converts analog information into digital data via a broadband Internet connection to deliver calls. The main functions of a Telephone System is to route incoming calls to the appropriate extension in an office.Many functions like automated greetings, recorded messages, dialing menus, connections to voicemail, PBX CRM integration and call recording can be added to telephone system. The range of features offered by a PBX system varies depends on brands. As one of the #1 PBX supplier in Dubai we can offer you high quality PABX installation in UAE and a competitive price level.Call us today for more details and we will make sure your business will be on next level after our telephone system installation service. As you use our PBX SYSTEM solutions, you not only get to enjoy the most advanced features introduced in business connectivity. You also experience the most cost effective solutions as well. With a proper PBX system model in your business. Voice mail to email allow you to receive important messages from the client while on the move. Mobile App and receiving and making the calls. Call Queue. Best suited for offices with too many incoming calls. You can keep the customer on Queue and distribute to the free agents . Centralized contact management. Ability to import all your contacts to telephone system. All the users in your organisation having access to the contacts. Call from Outlook contacts. Easy way to initiate calls from outlook contacts . It will eliminate dialing the number manually. Remote Connectivity . You can connect multiple branches of your organisation together. Contacting someone over a PBX system is a lot easier as compared to traditional phones. The reason is most numbers in a PBX network are only 3 to 4 digit long. The PBX allows companies with some locations to connect their phone systems without any complication such as the requirement of extra phone lines. The PBX system uses open standards and interface. These systems prove to be an easy solution as compared to the traditional proprietary systems. The PBX systems are designed to cut extra costs of electricity. This benefit makes a cost effective solution as compared to traditional telephones. Small and Medium size business prefer PBX systems as they prove to be cheaper for connecting with an external phone line. The PBX grants the ability to expand telecommunication of your business as your business grows with the passage of time. The PBX system comes features of traditional branch exchange along with leading edge seamless communication that provides an intuitive user interface.